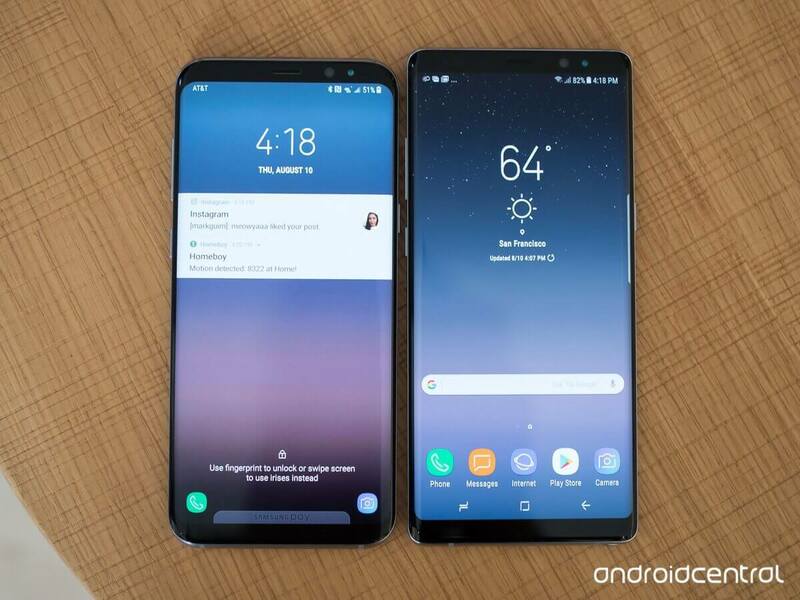 Galaxy note8:Samsung Galaxy Note 8 smartphone was launched in August 2017. The phone comes with a 6.30-inch touchscreen display with a resolution of 1440 pixels by 2960 pixels. 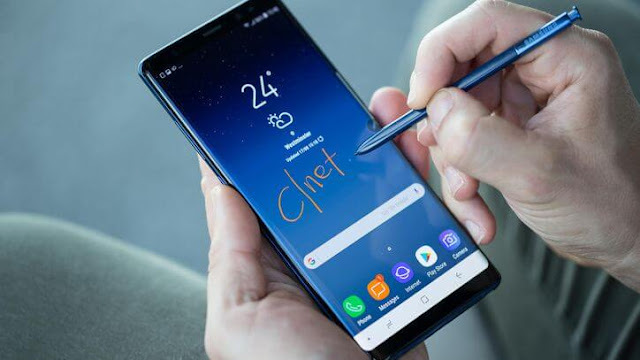 Samsung Galaxy Note 8 is powered by 1.7GHz octa-core Samsung Exynos 9 Octa 8895 processor and it comes with 6GB of RAM. Samsung Galaxy Note 8 price in India starts from Rs. 67,900. Body > Polished aluminum frame with smart smoothning. Display > 6.3" Super AMOLED , 2,960x1440px resolution. Rear camera > Primary 12MP, Secondary 12MP,autofocus detection. OS/Software > Android 7.1.1 Nougat. Memory > 6GB of RAM, 64GB of storage, microSD slot for cards up to 256GB. Price > 67,900 Amazon India. 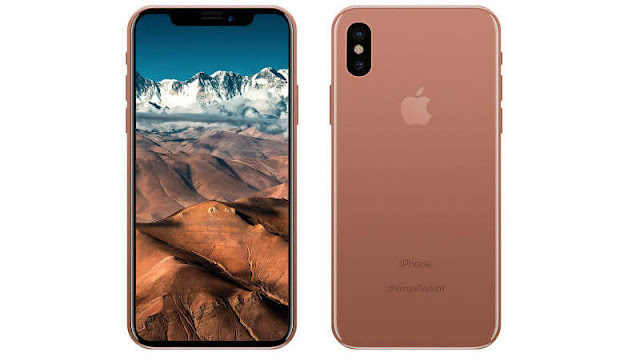 Apple iPhone 8 was launched in September 2017. iPhone 8 comes with a 4.70-inch touchscreen display with a resolution of 750 pixels by 1334 pixels at a PPI of 326 pixels per inch. Apple iPhone 8 price in India starts from Rs. 61,999. 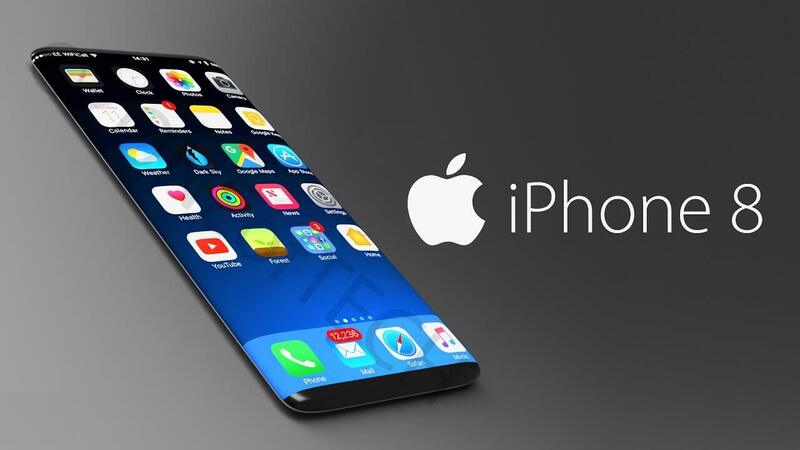 Apple iPhone 8 smartphone is powered by hexa-core Apple A11 Bionic processor and it consist of 2GB RAM. The phone packs 64GB of internal storage that cannot be expanded. As far as the cameras are concerned, the Apple iPhone 8 packs a 12-megapixel primary camera on the rear and a 7-megapixel front shooter for selfies. DISPLAY > LED-backlit IPS LCD, capacitive touchscreen. Size > 4.7 inches, 60.9 cm2. CAMERA > Primary 12 MP. BATTERY > Non-removable Li-Ion 1821 mAh battery . Price > 73,490 Amazon India. HTC U11 was launched in May 2017. HTC U11 comes with a 5.50-inch touchscreen display with a resolution of 1440 pixels by 2560 pixels. HTC U11 price in India starts from Rs. 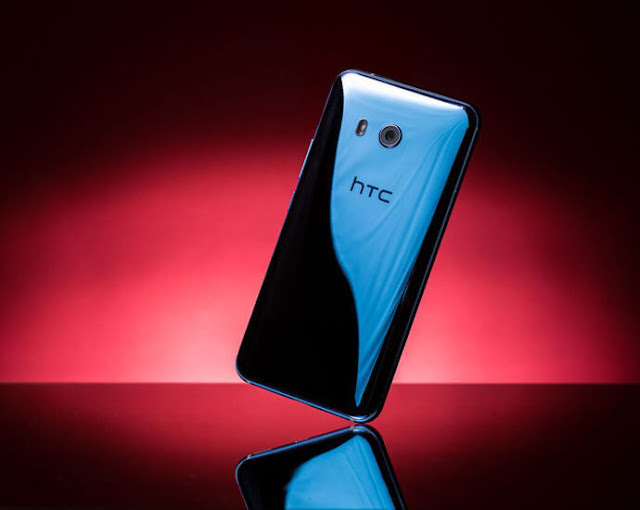 47,999.The HTC U11 smartphone is powered by 2.45GHz octa-core Qualcomm Snapdragon 835 processor and it comes with 6GB of RAM. The phone packs 128GB of internal storage that can be expanded up to 2000GB via a microSD card. 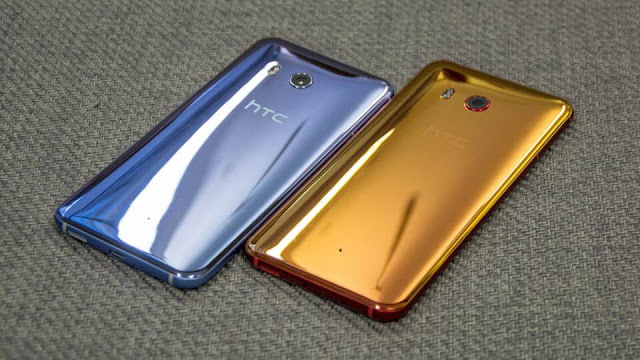 As far as the cameras are concerned, the HTC U11 packs a 12-Ultrapixel primary camera on the rear and a 16-megapixel front shooter for selfies.The HTC U11 runs Android 7.1 and is powered by a 3000mAh non removable battery. It measures 153.90 x 75.90 x 7.90 (height x width x thickness) and weigh 169.00 grams. 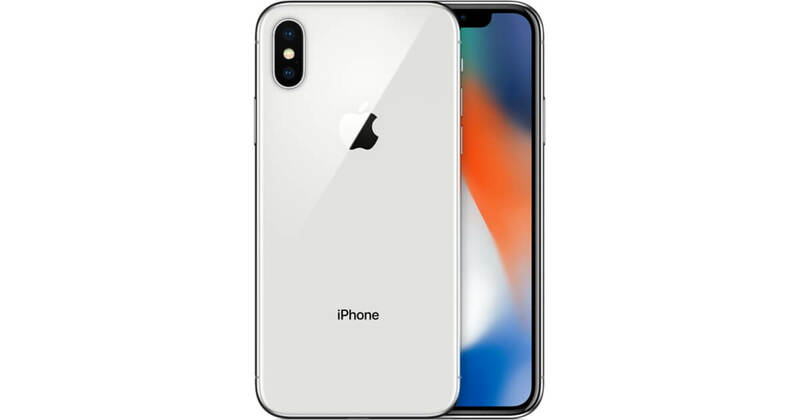 Apple iPhone X was launched in September 2017. iPhone X comes with a 5.80-inch touchscreen display with a resolution of 1125 pixels by 2436 pixels. Apple iPhone X price in India starts from Rs. 89,000. 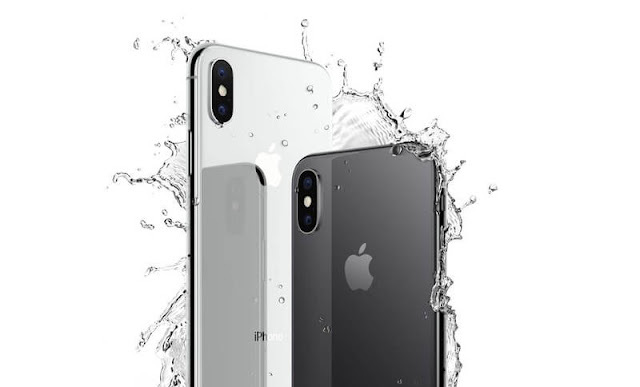 Apple iPhone X is powered by hexa-core Apple A11 Bionic processor and it comes with 3GB of RAM. The phone packs 64GB of internal storage that cannot be expanded. As far as the cameras are concerned, the Apple iPhone X packs a 12-megapixel primary camera on the rear and a 7-megapixel front shooter for selfies. Apple iPhone X runs iOS 11 and is powered by a 2716mAh non removable battery. It measures 143.60 x 70.90 x 7.70 (height x width x thickness) and weigh 174.00 grams. DISPLAY > 5.8 inches,Super AMOLED capacitive touchscreen. CAMERA Primary Dual > 12 MP. BATTERY > Non-removable Li-Ion 2716 mAh battery . Price > 82,999 Amazon India. Google Pixel was launched in October 2016. 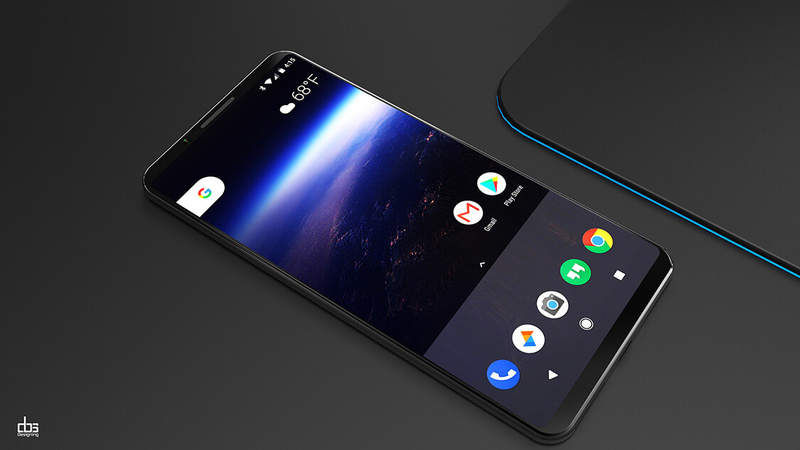 Google Pixel comes with a 5.00-inch touchscreen display with a resolution of 1080 pixels by 1920 pixels at a PPI of 441 pixels per inch. Google Pixel price in India starts from Rs. 34,999. Google Pixel is powered by 1.6GHz quad-core Qualcomm Snapdragon 821 processor and it comes with 4GB of RAM. The phone packs 32GB of internal storage that cannot be expanded. 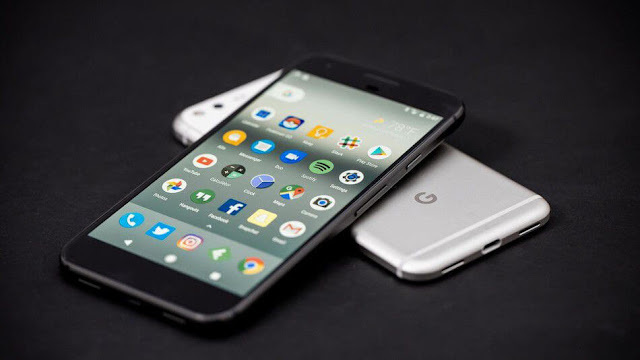 As far as the cameras are concerned, the Google Pixel packs a 12.3-megapixel primary camera on the rear and a 8-megapixel front shooter for selfies. Google Pixel runs Android 7.1 and is powered by a 2770mAh non removable battery. It measures 143.80 x 69.50 x 8.60 (height x width x thickness) and weigh 143.00 grams. BODY Dimensions > 143.8 x 69.5 x 8.5 mm . DISPLAy > 5.0 inches,AMOLED capacitive touchscreen. BATTERY > Non-removable Li-Ion 2770 mAh battery. Price > 41,790 Amazon India.